While there are many reasons for hair loss in men the most frequently occurring condition, affecting 25% of the population is the medical term “Androgenetic Alopecia”. The above terms are used to explain this complaint, but the facts are important to diagnose this condition accurately. Male pattern baldness is a hereditary condition, and can also be referred to as Androgen-Dependent Alopecia. 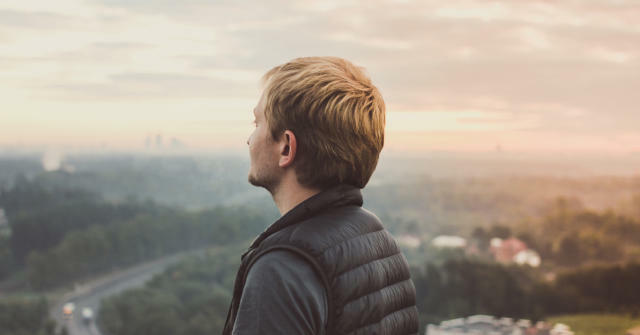 Contrary to what you may have heard this condition can affect men of any age and is usually triggered at Puberty and progresses at varying speeds of severity. Can alternative treatments help Male Pattern Baldness? I eat well and use good products on my hair. Shouldn’t this be enough to prevent Male Pattern Thinning? 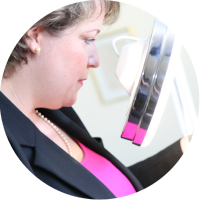 How can Sussex Trichology help me? Initially, the patient becomes aware of this male pattern baldness condition when the hairs in the temple region become finer, and the hairline appears higher in this area. Affected follicles produce shorter and finer hairs with each growth cycle until growth ceases. The hair loss is often first noticed as receding temples, and gradually the scalp becomes more visible in the upper and crown areas. The exact pattern of loss will tend to run in families. The progression of the hair loss condition is usually gradual and can be associated with an increase in daily hair shedding. It is wrongly believed that male pattern baldness happens due to high testosterone levels. This condition rather as a result of hair follicles in the thinning areas being sensitive to normal levels of circulating male hormones (androgens). Consequently, the earliest the problem can start is at puberty, when these hormone levels become sufficiently high to trigger hair thinning in genetically predisposed individuals. In this example, the androgens responsible for this hair loss condition are Dihydrotestosterone, but rather than systemic levels they affect the follicles in the upper region of the scalp exclusively. It is not in any way due to lack of circulation that has been widely publicised without any medical proof at all. There are currently no Trichologists available on the NHS, and most Dermatologists are unable to diagnose and advise accurately how to both treat and prevent this condition from getting worse. Your GP may mention the use of Regaine (available from a Pharmacy), but in my opinion, this is insufficient used alone to either block the androgens or stimulate a cosmetically acceptable level of regrowth for the patient. In my experience no. While I massively support the use of alternative therapies where appropriate, in the case of this hormone related condition it is not sufficient. Anti-androgen products such as saw palmetto and green tea leaf extract are within this category, however, will not alone suffice. Shuna Hammocks will guide you more accurately during your consultation. I eat well and use good products on my hair. Shouldn't this be enough to prevent Male Pattern Thinning? While a diet rich in proteins is crucial to the hair and scalp, Androgenic Alopecia triggers regardless of your diet and any potential deficiencies you may have. Using a good quality shampoo and conditioner daily is essential, particularly to achieve the best environment to grow hair. Certain scalp conditions can cause short-term hair loss, but this condition stands alone in being caused for internal reasons rather than external (such as reactions to perfumes and tints for example). Yes, while the male pattern baldness is not curable, the treatments offered at Sussex Trichology can slow the progression of the condition, and in many cases, stabilise the density. A reputable practitioner, like Shuna Hammocks, will be able to guide you through all options available to you and answer any questions you may have. Sussex Trichology patient John from Haywards Heath initially consulted Shuna with a scalp condition. Assuming, as many do, there was no way of treating male pattern thinning he was surprised to find he could. Now after only nine months treatment my scalp is healthy, and hair growth is still improving. My thoughts are that I should have consulted Shuna about five years ago. I would thoroughly recommend Sussex Trichology. Read how he found results beyond his expectations!